One-sided 7'' by the mysterious Pollard moniker, Nightwalker. This was not released on a specific label, and it's said there were about 1000 copies pressed of this. In typical Nightwalker fashion, liner notes were not included. 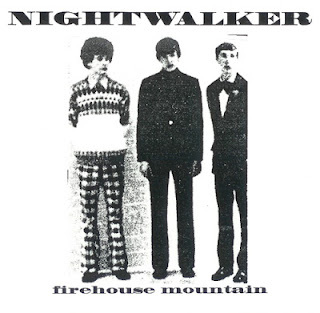 Firehouse Mountain- 4 From the 1 sided 7’’ of same name comes this 5 and half minute, surreal lo-fi nightmare. Monotonous tom hits over pitch shifting noises. Extremely no wave opening, spills over into acid washed repetitive guitar squeals and improvised noodling. Pollard’s the most clear on this track over other Nightwalker songs later released on the In Shop… collection. Mood music for your dementia or when dealing with your DT’s. found this for $3 recently. Definitely a highlight in the Nightwalker oeuvre.